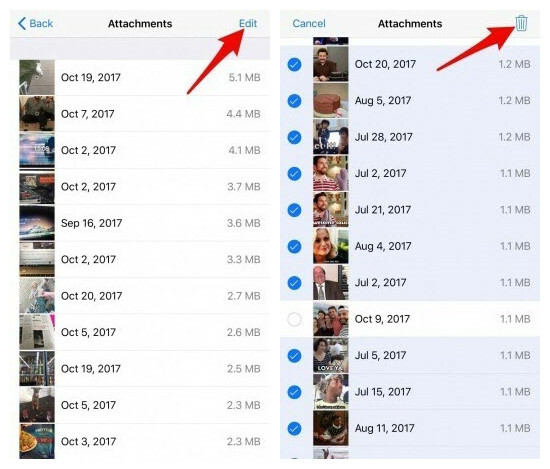 As great as it is that iMessage supports sending photos and other attachments, they can start to clutter your storage after a while. Maybe you’re in a group chat and your friends send a lot of memes, or perhaps you’ve simply never cleared out your storage. Whatever the reason is, here’s how to delete images from iMessage on iOS 10/11/12. There are different ways of deleting the images that are associated with iMessage. We’ve provided some of the best methods below for you to choose from. Our first recommendation is to try out iMyFone Umate Pro, a fantastic program which has been specifically designed for iOS storage optimization. 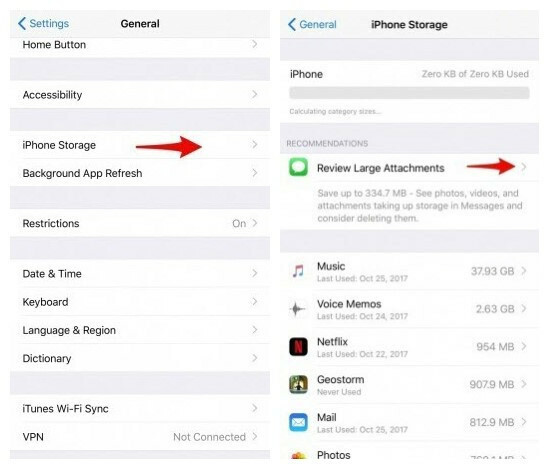 We’re confident that this is the best way to clear up the storage of any iPhone and to prove it, here are some of iMyFone Umate Pro’s key features. Scan any iOS devices and permanently delete the iMessage attachments that are stored on it. Erase deleted iMessage and its attachments so that they are beyond recovery. Preview iOS data before you erase it for extra precaution. Capable of erasing various data types such as photos, videos, browsing history, and even social media app data. Clean up your device’s storage in a single click. These are just a few of the main things worth keeping in mind about iMyFone Umate Pro but if you check it out yourself, you’ll get to experience all of the features! Step 2. 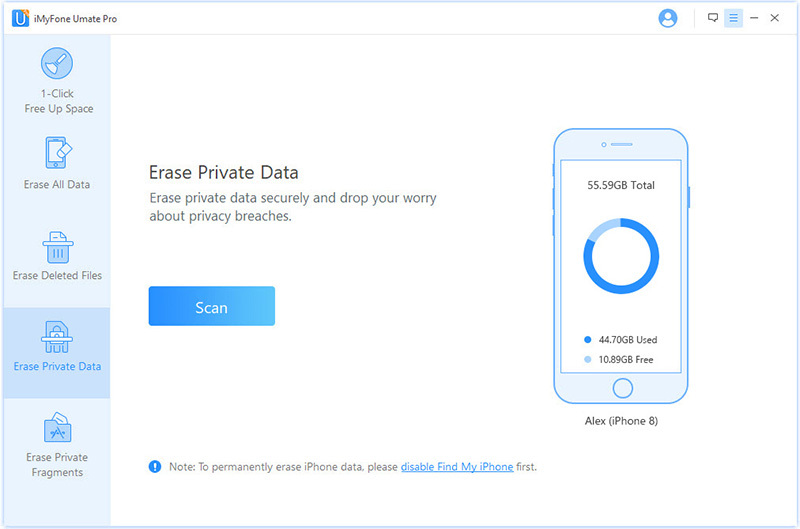 Select Erase Private Data mode and click on Scan button, it will scan all your private data on your iPhone. Step 3. After the scan process finished, click on Message Attachment tab, here you will find all the images in iMessage, choose those you want to delete and click on Erase Now button. A complex procedure is taken by iMyFone Umate Pro to ensure that your private data can’t be recovered. When you save data on an iOS device it is stored in a database file. But, when you delete that data (e.g. a photo, text message, or a video), it is simply hidden from your view, but it isn’t actually removed from the database. To counter this, iMyFone Umate Pro will overwrite the database entries that contain your data so that they are completely unrecoverable. 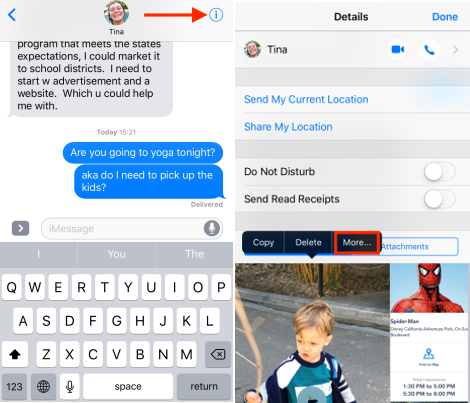 Another solution you can take to delete images from iMessage on iOS 10/11/12 is using the iMessage app. There are a few downsides of doing this but it’s very effective and easy to do. Step #1 - Unlock your iPhone and open the Messages app. Step #2 - Tap the conversation that contains the photos you want to delete and press the “i” at the top-right. 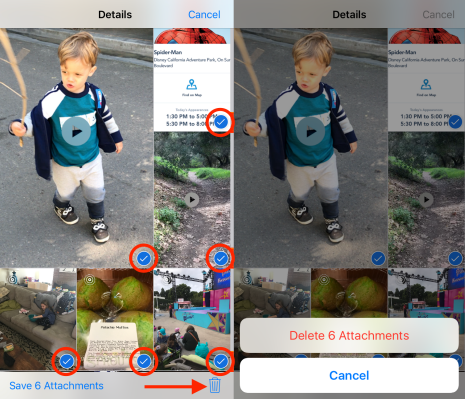 Step #3 - Tap and hold one of the photos that you want to delete under the “Images” tab, tap on “More”, and then select all of the photos that you plan on deleting. Step #4 - Finally, tap the trash icon and confirm that you want them erased from your device. Now, regarding the downsides, this will take you a long time especially if you are scrolling through months of chat history. Furthermore, any photos that you delete will be recoverable. But we also have to realize that this can a useful approach if you only want to delete specific photos. The final solution to delete images from iMessage on iOS 10/11/12 is through the Settings application. Again, this gives you more control over the photos you delete but it’ll be a time-consuming task. Step #1 - Open the “Settings” application and go to “General > iPhone Storage”. Step #2 - Wait for a short scan to conclude. After your storage has scanned, tap on “Show All” next to the “Recommendations” heading. Step #3 - Choose “Review Large Attachments” and a list of the largest iMessage attachments will appear. Step #4 - Tap “Edit” and proceed to select any photos to delete them. Afterwards, simply tap the trash icon. Setting aside how tedious of a process this is, if you have a lot of photos being sent through iMessage then it’s going to take a while to get through them all. The worst thing about this is that the photos won’t actually delete from your iPhone and with the right tools, they can be recovered. There you go! 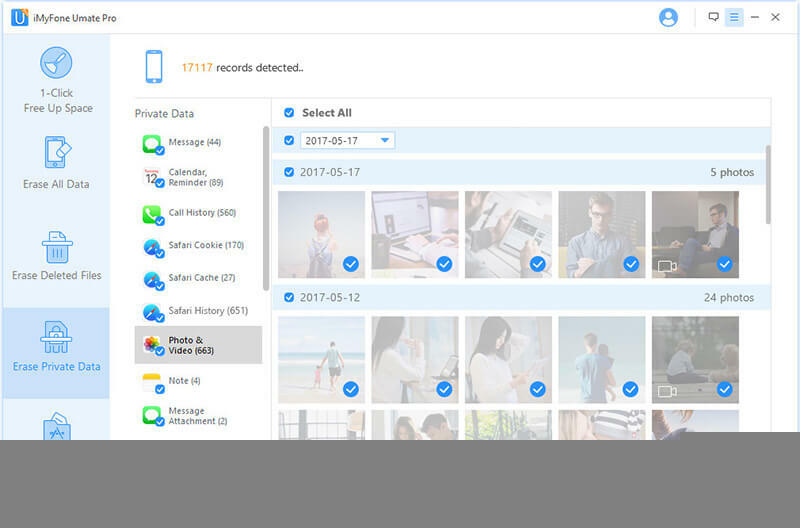 Either use the most efficient data erasing solution, iMyFone Umate Pro, or take the quick and easy route of deleting your photos via the Settings or Message apps. It should go without saying that iMyFone Umate Pro is the most efficient way to make sure nobody can get their hands on your personal data but using built-in iOS features might be more convenient at the time.